NASCAR's Top Talent Scouts: Who's Got the No. 1 Draft Pick? 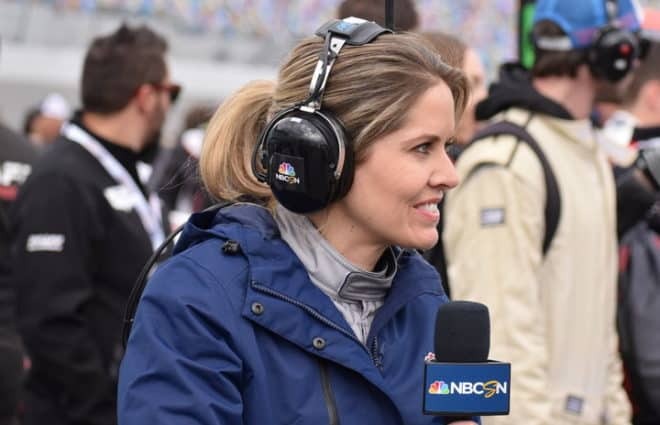 Home / Bowles-Eye View / NASCAR’s Top Talent Scouts: Who’s Got the No. 1 Draft Pick? NASCAR’s Top Talent Scouts: Who’s Got the No. 1 Draft Pick? 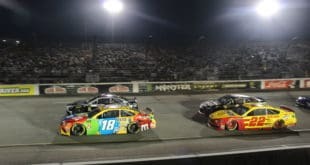 Tom Bowles April 27, 2017 Bowles-Eye View, Cup Series, Featured Content, Tom Bowles Comments Off on NASCAR’s Top Talent Scouts: Who’s Got the No. 1 Draft Pick? NASCAR’s Dale Earnhardt Jr. news cycle finally got trumped in the sporting world by Thursday night’s NFL draft. As you read this, stories are popping up over names like Mitch Trubisky, Jabrill Peppers and I-can’t-remember-his-name-but-god-he-better-help-my-team. It’s a reminder for all that life must go on. At Hendrick Motorsports, those words ring truer than ever as it faces a 2018 without its biggest name. But Hendrick’s not the only one facing an open seat in the near future. Jimmie Johnson, Jamie McMurray and Matt Kenseth are just some of the current crop over 40 and with a limited number of years left to race. How well-positioned are their employers to replace them? With so many quality drivers locked up in long-term deals, drafting top talent from NASCAR’s lower levels is fast becoming a key to success. It’s the reason why every major organization has driver development, reaching straight from the XFINITY Series all the way down to the K&N Pro Series. Let’s take a look at where the major programs sit. Have they drafted well? Team Penske. Roger Penske may be the oldest owner, turning 80 this year, but his team is the best positioned in NASCAR with young talent. Brad Keselowski, expected to sign a long-term extension, is just 33 years old with a championship under the Penske banner. His outspoken nature, aggressive style and commitment to the organization could leave him a top-tier talent for a decade to come. 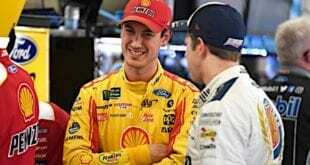 Keselowski’s hand-picked teammate, Joey Logano, was the gem Joe Gibbs Racing left sitting in the dumpster. Just 26 years old, he’s won 15 times with the No. 22 team and is locked up for years to come. 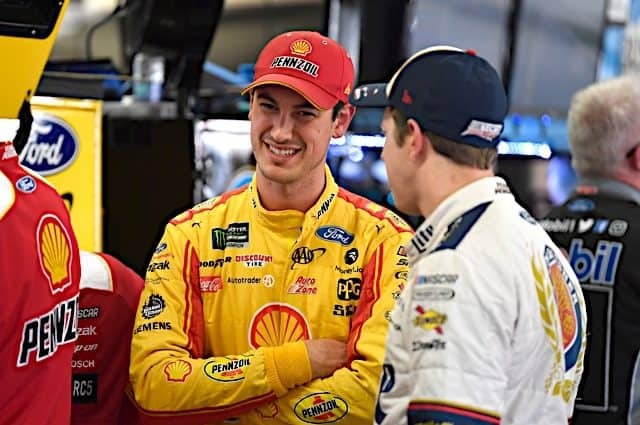 Together, they form a 1-2 punch that became Ford’s top ticket over Roush Fenway Racing and even newcomer Stewart-Haas Racing. But the best could be yet to come for a team that’ll move to four cars by 2020. Ryan Blaney, just 23, already has four XFINITY wins and four in the Camping World Truck Series. Driving for a de facto third Cup program in Wood Brothers Racing, he’s in prime position to make the playoffs and win a Cup race this season. The average age of that trio? 27.3. That’s impressive in a world where guys are racing until their mid-40s. And let’s not forget Austin Cindric, the son of Penske President Tim Cindric who’s running Trucks this year. Signed with Brad Keselowski Racing, the teenager’s locked into a Penske ride and could have the talent to get the job done. Last year’s ARCA champion, 22-year-old Chase Briscoe, drives the other truck, which at this point is icing on the cake. Hendrick Motorsports. Owner Rick Hendrick always has a Miss Cleo-like ability to think ahead. He could have let Alex Bowman go but kept him driving simulators in-house, the perfect substitute for if, oh, a certain driver chose to step away post-concussion syndrome. Earnhardt may have returned for 2017, but his sudden departure leaves the 24-year-old a top candidate to replace him. Bowman, who has mixed success in XFINITY and Cup, came into his own driving the No. 88 last season; he nearly won Phoenix International Raceway until those pesky late-race cautions jumbled up the running order. Johnson, 41, or a struggling 37-year-old Kasey Kahne might not be far behind Earnhardt. But Hendrick once again knows what’s coming. 19-year-old William Byron, he of seven Truck Series wins last season, got plucked right out of the clutches of Toyota. He’s been slow to warm to XFINITY and still sits second in points! No doubt he’ll be winning races and putting the accelerator on a promotion by the end of 2017. If Hendrick needs to go deeper, there’s Justin Allgaier, sitting pretty at JR Motorsports and running for an XFINITY championship at age 30. But should that be too old and if Bowman’s not the answer, this guy seems to have an unlimited checkbook to grab top 20-something talent. See: Chase Elliott, second in Cup points this season and the heir apparent to Earnhardt popularity. Are you reading, Kyle Larson? Joe Gibbs Racing. This time last year, you’d rank Gibbs a close second to Penske. Its four-car team ran circles around the competition and two marquee names, Erik Jones and Daniel Suarez, sat poised to move up. Byron was sitting in Trucks, and JGR? They were sitting pretty. Now? The loss of Edwards earlier than expected left things not quite as rosy. It’s clear Suarez needed another year of development and risks losing confidence with a poor Cup season. Byron is gone, signed by Hendrick, and that leaves Jones as the only option to replace an aging Kenseth. The good news? Once Jones slots in he’ll join Suarez, Denny Hamlin and Kyle Busch as drivers with long-term contracts. The oldest of those is Hamlin at 36; we don’t expect anyone retiring soon. But the bench, looking further down, is a bit thinner. Matt Tifft, despite driving invincible equipment in XFINITY, has stumbled to a slow start. Down in Trucks, Christopher Bell looks good at Kyle Busch Motorsports, but Noah Gragson has crashed just as much as he’s been competitive. Richard Childress Racing. The second owner Richard Childress let go of Kevin Harvick, you knew where the focus turned: the Dillon brothers. Austin made his first Chase last year, still winless after three seasons in Cup but at 27 the make-or-break guy in this program. Paul Menard and Ryan Newman appear to be ho-hum guys Childress is simply allowing to age out. 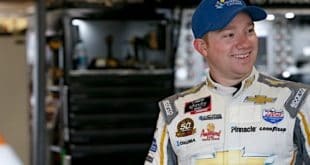 Expect Austin’s brother Ty to move to RCR within the next few seasons; he’s currently farmed out to single-car Germain Racing for his rookie year. Looking at this team a year or two ago, you’d say, “Welp! That’s about it.” But give RCR credit. Childress has made some development deals that prove he’s still in the game beyond his grandsons. People in the sport are high on Daniel Hemric, 25, who sits sixth in XFINITY points and has overachieved a bit in the No. 21. Brandon Jones, 20, has been more of a struggle but could still develop over time. If just one of that duo develops, plus Ty moves over, RCR is primed to be one of the younger teams on the circuit by 2020. The bigger question is whether that family-owned youth can cash in on Victory Lane. Roush Fenway Racing. This team may have contracted in recent years, dropping to two teams for the first time since 1995, but it’s clearly going with youth. Trevor Bayne and Ricky Stenhouse Jr. have had limited success (despite Bayne’s Daytona 500 win in 2011), but their average age is just 27 years old. Chris Buescher, on loan to JTG-Daugherty Racing for the season, is only 24 and already owns an unlikely Cup victory. Reach deeper and you have the diversity and talent offered by Darrell Wallace Jr. in XFINITY. Even Ryan Reed, with a Daytona XFINITY victory this season, has looked to be improving as of late. RFR clearly has the right idea. Now, if they could only find a marketing department and some engineers. Stewart-Haas Racing. Hmm. Ford’s newest pickup just started a driver development program. The problem? 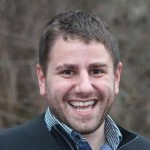 Its XFINITY occupant is the son of the team’s executive vice president. While Cole Custer has had flashes of brilliance at times, winning twice in the Truck Series, he whiffed badly on the Chase in 2016. 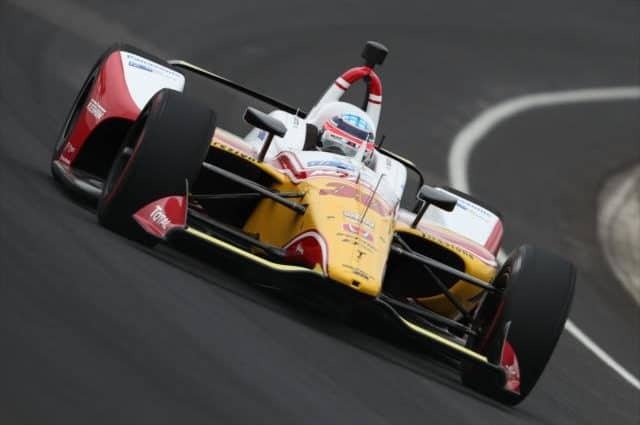 The team still chose to move Custer up and the results have been underwhelming; he’s got an average finish of 21.6 and sits 12th in XFINITY points. Is such a thin bench smart for a team with many aging names? Harvick is 41, and Daytona 500 winner Kurt Busch is 38. Danica Patrick may simply retire after this season due to sponsorship woes. Clint Bowyer? He’s wowing the circuit with a comeback tour these days, but he’s struggling to gain backing for the No. 14 at age 37. Gene Haas, along with the recently retired Tony Stewart, have the side money to stay competitive. But you have to wonder what the plan for the future is here. Will they contract and sell off a charter in the near-term to focus on development in the lower levels? Chip Ganassi Racing: Brennan Poole seems OK. 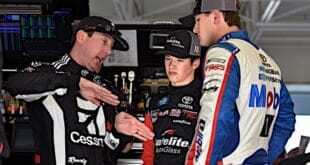 But it all boils down to one question: can they keep Larson? Furniture Row Racing: Hard to judge when you’re the puppet of a bigger program like JGR. JTG-Daugherty Racing: The jury is out on if it can sustain a two-car program without Buescher, let alone driver development. 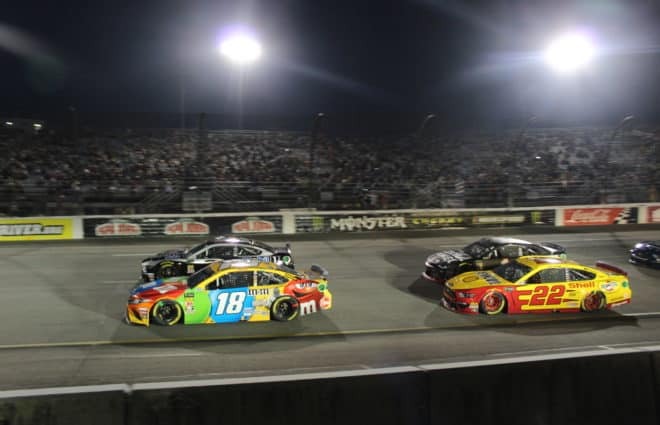 BK Racing, Circle Sport, Front Row Motorsports, Go FAS Racing, Premium Motorsports, Richard Petty Motorsports, Rick Ware Racing, TriStar Motorsports: Develop? Heck, they’re just hoping to survive. Previous 4 Burning Questions: Is There Added Distraction for Dale Earnhardt Jr. at Richmond?